–	Maroon Lake – located in the center of the Maroon Bells Scenic Area, the alpine lake can be approached on three different trails and it is so beautiful and idyllic that it attracts visitors from all over the world. –	Cathedral Spires in Garden of the Gods – the spot is challenging and difficult to get to, but it is definitely worth the effort. –	Rattlesnake Arches – the succession of red rock formations located close to the state’s western border can be accessed via a hiking trail – you will be exhausted by the time you get there, but you will surely feel thrilled to see such a dramatic landscape. –	Hanging Lake – Colorado has lots of lakes, but none as spectacular as the Hanging Lake. The crystal water is surrounded by splendid limestone formations and unique vegetation. –	Rifle Falls – the falls area that includes a 70-foot tall, triple waterfall is located very close to the parking area, so this beauty is easy to visit. If you are looking for luxury scenic patio homes in Colorado, take a peek at beautiful The Village at Castle Pines. 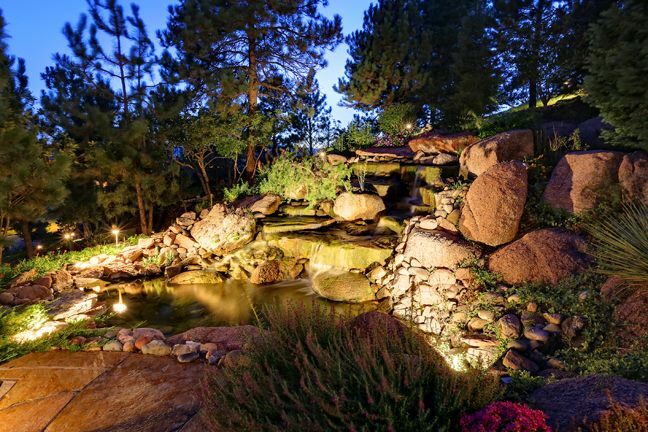 Not only are you close to all the wonderful places Colorado offers, but your home could offer gorgeous landscaping and nature views as well.